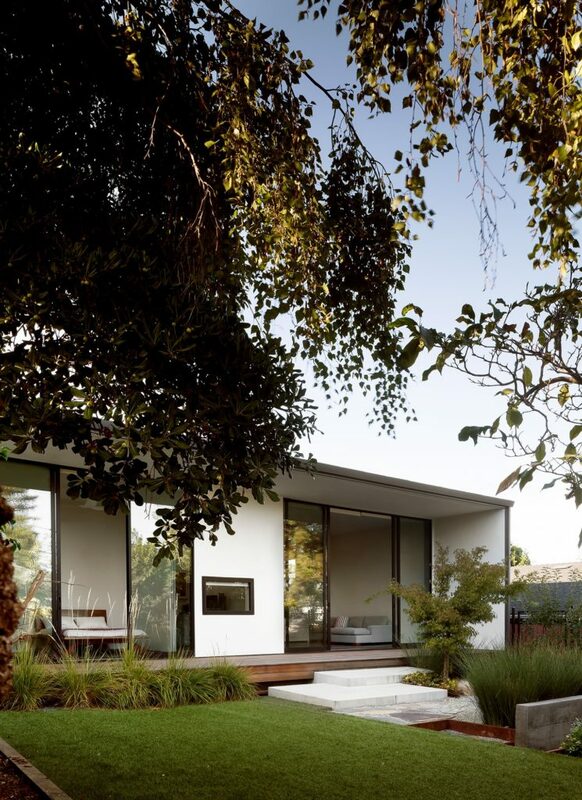 A refined ranch-style bungalow in San Carlos, California, ticked all the boxes of a flawless home but one. The indoor and outdoor connection was missing, a trait the homeowners wished to have as part of their day to day life. 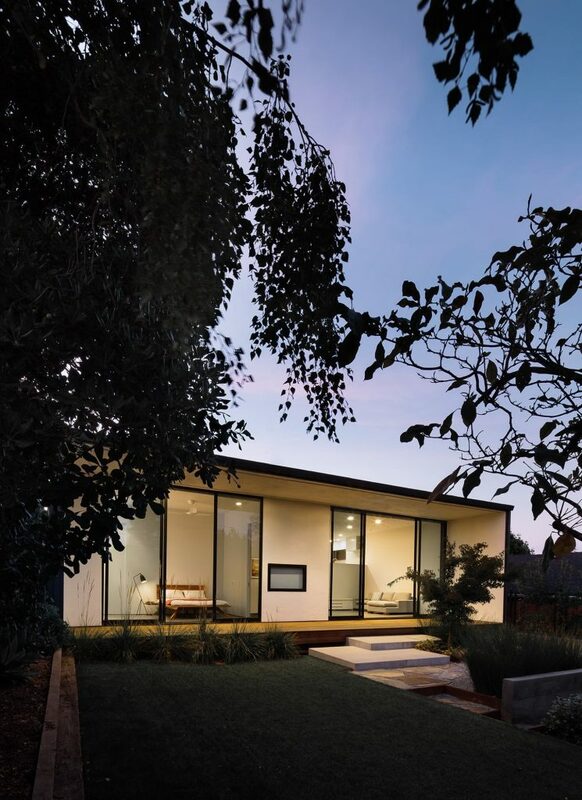 In order to devise the desired indoor/outdoor connection, the rear of the home faced immoderate renovations. 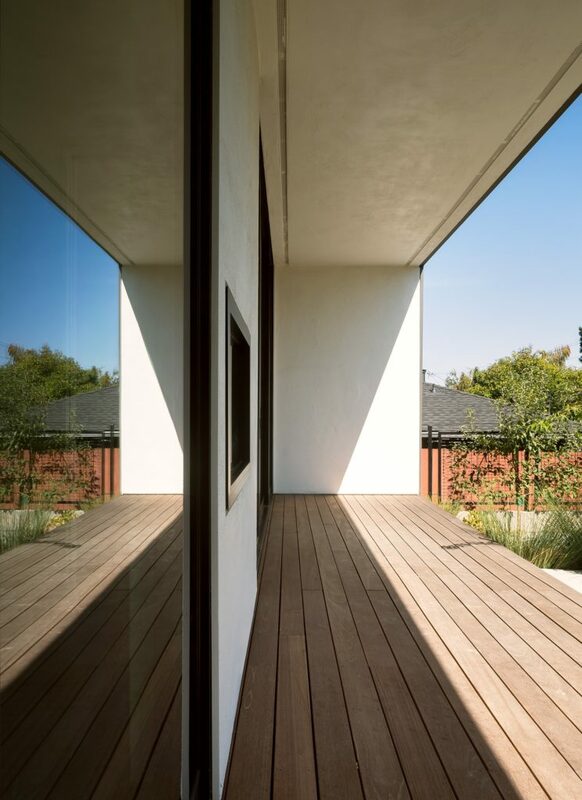 Through gentle transition and immaculate restoration, San Francisco-based Michael Hennessey Architecture crafted a seamless flow from the interior to exterior. Which part/s of a new project excite(s) you the most? I enjoy the conversation with the client at the beginning of a new project. Unearthing the relevant questions to find what is most important within a client’s brief helps to set the trajectory of the investigation. I also find the analysis of the site quite rewarding. We attempt to read all of the various forces acting on the site such as the relationship to the sun, wind, topography, view, etc. Can you tell us a bit about the story of this house/project and its owners? 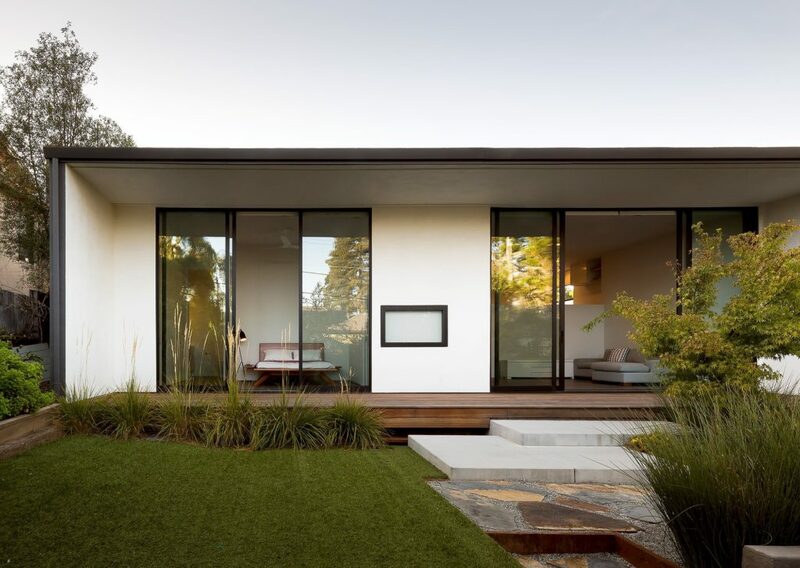 The owners of this ranch-style bungalow had been living in this house for some years with their young children and realized that there was no connection between the interior of the house and the rear yard. The goal was to create greater indoor/outdoor connection, making the rear yard an extension of the home. What was your approach for the project? To make a direct connection to the rear yard, we decided to step down several feet from the kitchen to the family room, and then several more feet down to the yard. This gentle transition encourages a more seamless flow from the interior to the exterior. Was it a conservative restoration or an upgrade for modern living? We took the approach of providing a modern addition to a more traditional bungalow. 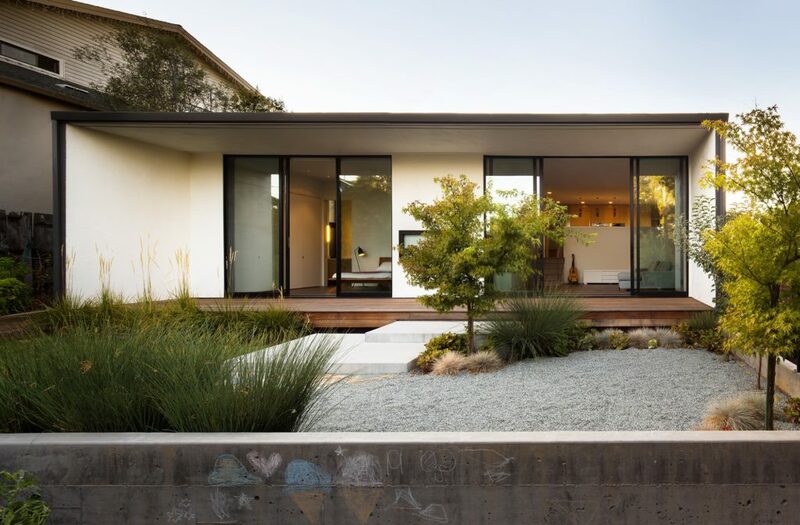 Given the desire for a significant amount of glazing and an open floor plan leading to the exterior, the design lended itself to a modern approach. After entering the traditional bungalow, the house progressively becomes more open and modern while moving towards the rear yard. Which is your favourite/most important feature of this house and why? The most important design feature to this house is the clear view from the large kitchen island to the rear yard. 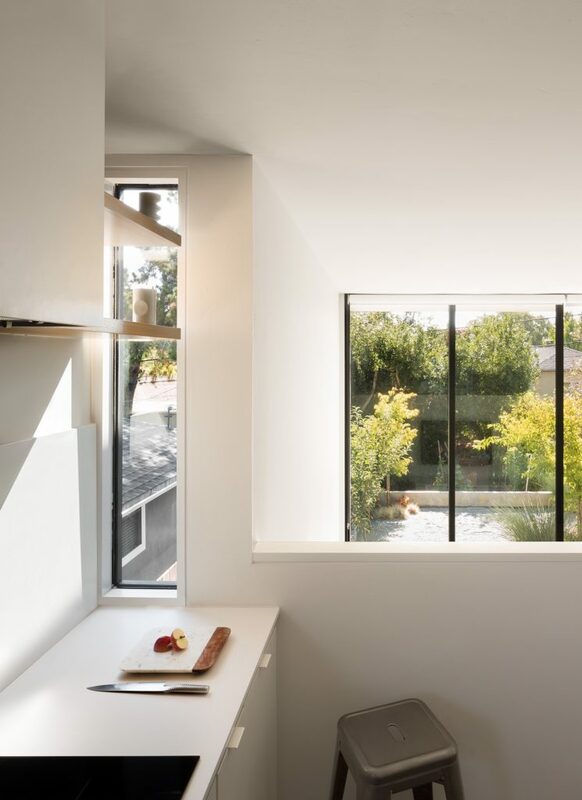 A very simple and clear organization of spaces allows people to hang out at the island and still enjoy the natural daylight and view of the rear yard. Cement plaster was used as the primary exterior element to create seamless planes of material that are durable and cost-effective. Wood decking was incorporated along the rear elevation as a means to bring some color to the rear elevation. Concrete board-formed retaining walls are employed to create a raised gravel patio. The clients are everything. They set-up the design questions perfectly and were able to make clear, concise decisions as we went through the design process. They made this project happen and should take full credit for its success. It makes me quite happy that their family is able to enjoy the spaces and rear yard on a daily basis. Have you found any inspiration in the mid-century period while designing the house? 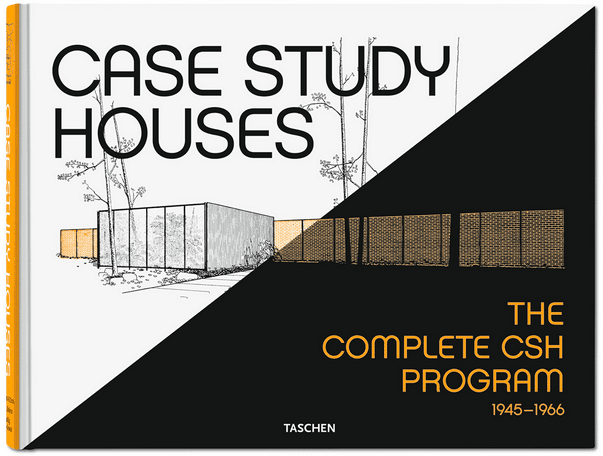 The ethos of mid-century design found in California had a significant influence on this house and much of our work. Realizing that houses should be an extension of the outdoors and can harness our amazing weather to create healthy interior living environments, was first established during the mid-century period. The interior is, for a large part, painted in white – can you tell us about the decision to make the interior of the home clean and light? 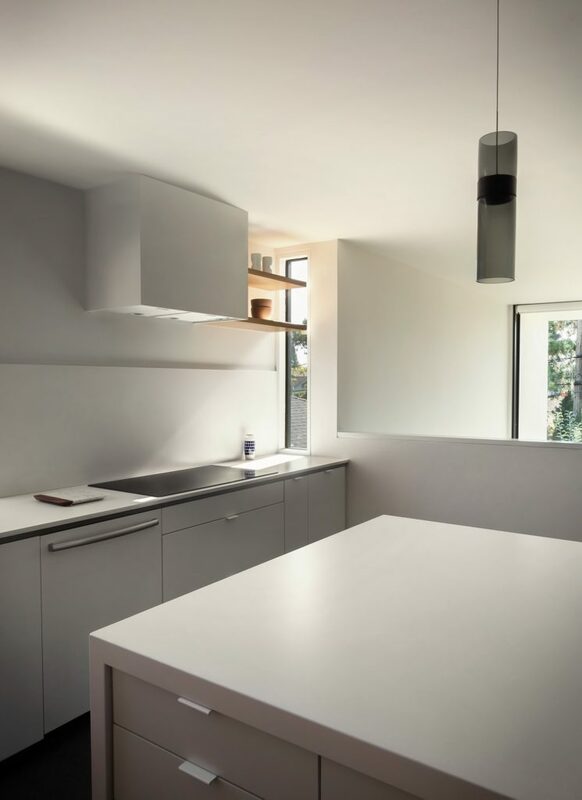 The decision to make the interior painted white was to harness natural daylight deep into the house. We also used several skylights to assist in bringing natural light deep into the spaces. 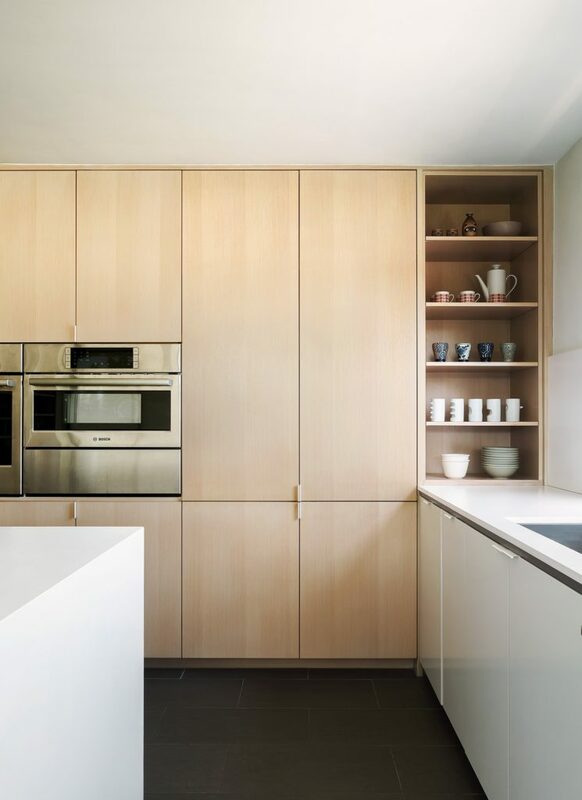 White paint has the added benefit of elevating the simple wood cabinetry and porcelain tile, placing more emphasis on those items.